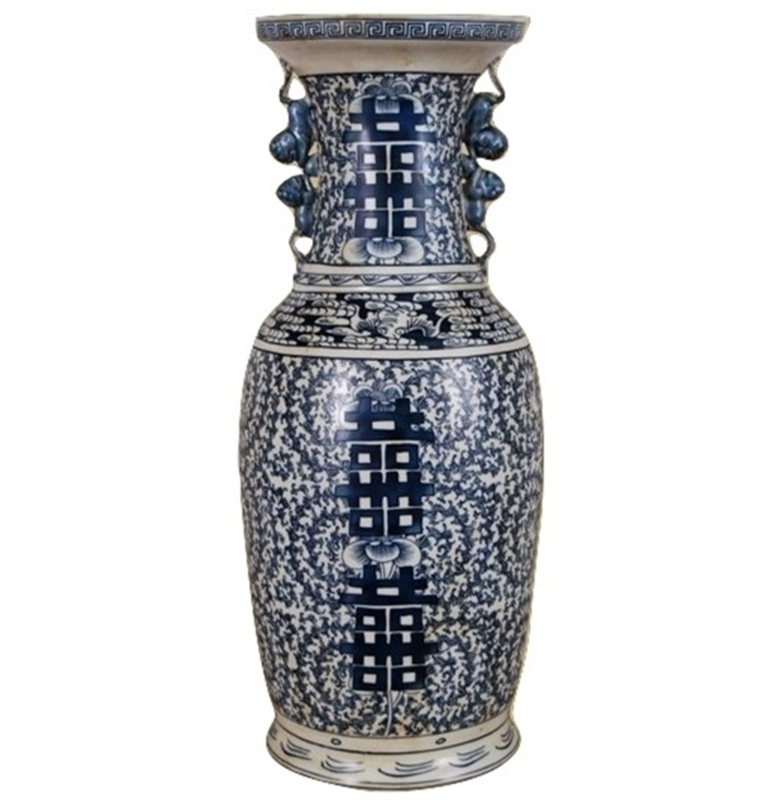 Tall and very impressive extra large Double Happiness hexagon vase. This gorgeous vase with this iconic Chinese symbol features elegant "fruit handles". Stunning vase, very grand looking.